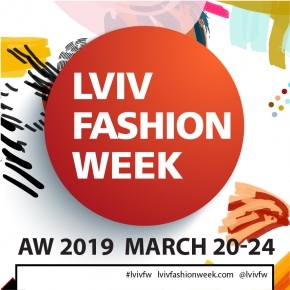 Four different projects, different artistic expressions in both form and content will be united by the XXIst season of Lviv Fashion Week on March 22 in one ArtSpace in the territory of the modern art centre "Lvivarnya". Video art, fine-art photography exhibition, installation, collaboration, performance, pictorial art - all these visual practices for artists working in the sphere of FashionArt will help to raise the conversation about one of the most important and most interesting topics – a human being. Project of Daria Tishchenko-Zhuravel "The Chameleon Effect" - about a person in the incredible flow of information which is forced to adapt and change quickly due to technological, public and social transformations. The Chameleon Effect is the unconscious mimicry of various types of behaviour, attitudes and values of the environment in which one finds oneself. 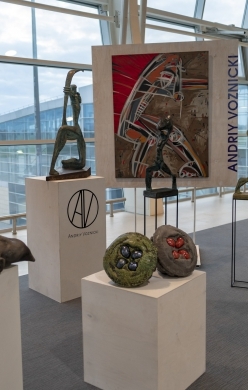 "10 meters of your opportunities"– collaboration of the artist Maksym Skvortsov (performance) and the graphic designer Oleh Havryliv (prints with the artist’s compositions) - about the aspiration and achievement, creativity and rejection of the new, about the demystification of the image of a contemporary artist. The process of creating an artwork, which the artist in most cases leaves behind the scenes, this time will become public. "Untitled" by Igor Stepanyk– a photo project about the role of stylists in creating the final result. Those who mostly remain behind the scenes in the creative process, but establish mood and a holistic image. Those who unite all the creative links from designer to model, work not only with things, but also with the context, and owing to whom we perceive the main concept. "Perfect Illusion" by Boris Gavryliuk, Lena Lazhnevska: performance, photoshoot, exhibition of paintings - the project is aimed not only at presenting the artist's works, but also at attracting the viewer to participate directly in the performance in the form of photo shoot. The human body, its plastic code is the main measure of artistic expression. It will become another "canvas" for the artist, where he will try to erase the stereotyped frameworks and free the imagination by mastering new forms of expression.